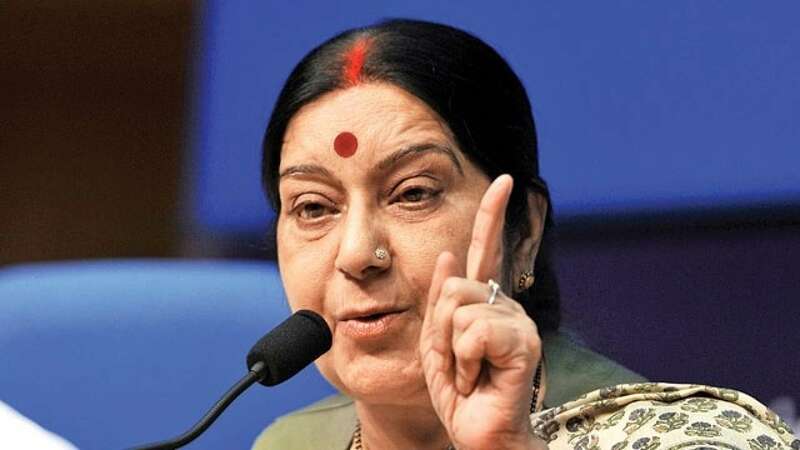 India’s Minister for External Affairs Sushma Swaraj on Friday maintained India’s hostile stance towards Pakistan during her address to the Organisation of Islamic Cooperation (OIC) meeting in Abu Dhabi when she condemned “states who provide shelter and funding to terrorists”. “If we want to save humanity, we must tell the states who provide shelter and funding to terrorists, to dismantle the infrastructure of the terrorist camps and stop providing funding shelter and funding to the terror organisation based in that country,” Swaraj said, without naming Pakistan in her 17-minute speech. Pakistan has already announced a boycott of the meeting after OIC failed to rescind the invitation extended to Swaraj to attend the Dubai moot as ‘guest of honour’ for the first time. Tensions between the two countries have been at an all-time high after the February 14 attack on an Indian paramilitary envoy in Pulwama in which at least 44 soldiers were killed. Foreign Minister Shah Mahmood Qureshi said he will skip the meeting of foreign ministers due to Swaraj’s presence, adding that lower ranking officials would attend to represent Pakistan. Swaraj said that terrorism and extremism are given different names and labels but they can always be pinned down to a distortion of religion. “None of the 99 names of Allah means violence, Islam preaches peace. This menace cannot be stopped only through diplomatic and military means, we have to work within our communities,” she added.